Referral pads are an essential item to funnel work into your practice. 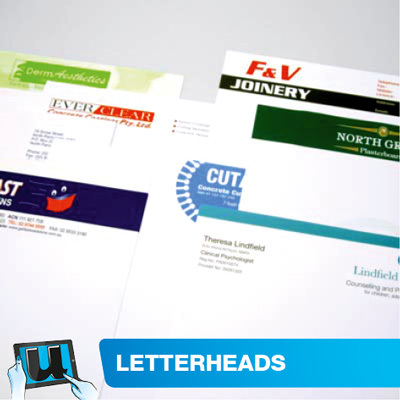 They are supplied with 50 sheets per pad. Our printed referral pad templates can be edited to showcase your practice information, such as logo, services, hours, contact details, location map, referring medical center or GP. Get booked out faster through the simple activity of networking. Present your pads to referring doctors today. 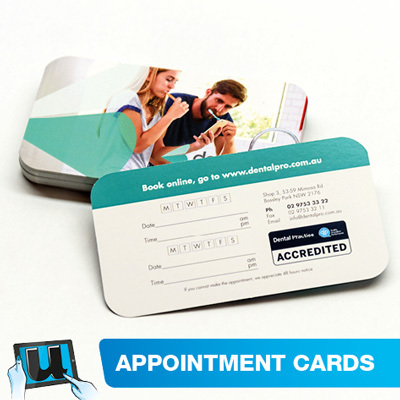 We can help get your referral pads printed and shipped to you promptly. To see specifications please review via the price calculator. 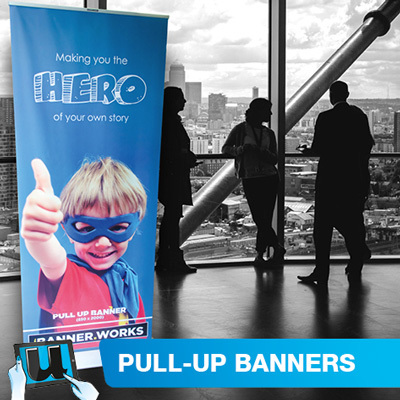 Selections of colours, sides to be printed, stock to be used are available for your customisation. 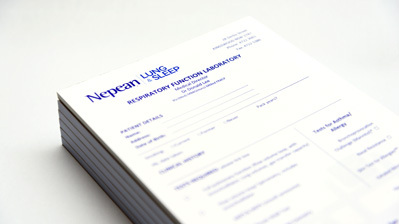 Select through our range of referral pad printing templates. Our templates are free to use online with your print orders. 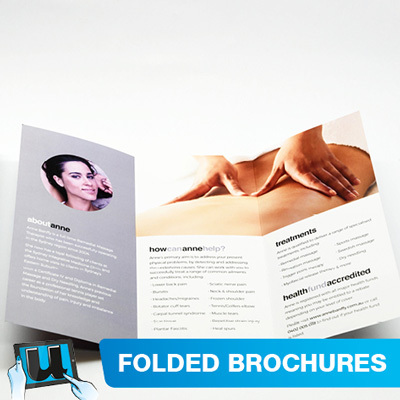 Some of our referral pad design templates include: medical, dental, dietry, mental health, sports or wellness services. If you do not see your industry template available in our pre-designed templates, contact us to have one for you made available. Supply us with your document brief, map location details, hours of trading, field information for data collection. After we collect your brief a template created for your industry will commence. 80gsm Bond - Medium grade. High whiteness level, nice toothy feel, medium body, fair opacity. 100gsm Premium Offset - Medium grade. High whiteness level, nice toothy feel, bulky and firm body, good opacity. The following colours have no additional charge: Black, Green, Process Blue, Reflex Blue, 072, Violet, Purple, 032, Warm Red, 021, Yellow,151,185, 280, 286, 293, 300, 354, 485, 320. Or do you have a specific PANTONE colour need: select the first option in the drop down menu: "SPECIAL PMS MIX", adds $40.